Google Custom Search enables you to create a search engine for your website, your blog, or a collection of websites. You can configure your search engine to search both web pages and images. You can fine-tune the ranking, customize the look and feel of the search results. The Custom Search API has a number of features available but we are going to use only one that is searching across the web for a specific collection of images. The images are going to be stored locally and there are going to be processed in the main application. The Custom Search API with JSON / Atom lets you develop applications to retrieve and display results from the Google Custom Search programmatically. With this we can search the web and retrieve images in a JSON like format and save the images in a local server. Once having the authentication key the the next step is to make the searches with the API. The searches can be obtained using a HTTP GET Request with a URL. The output of the request is JSON format. To make a search, you only need three parameters, this information can be obtained from the Custom Search Engine and the Google Cloud Console. So, to search only images with file type .jpg and .png we need the following code. more about the Source Custom Search here. Google Custom Search API lets you search the web programmatically via HTTP requests. 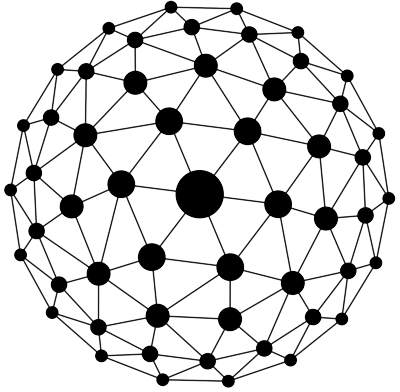 Once making a request it is possible to obtain the information in a JSON format. 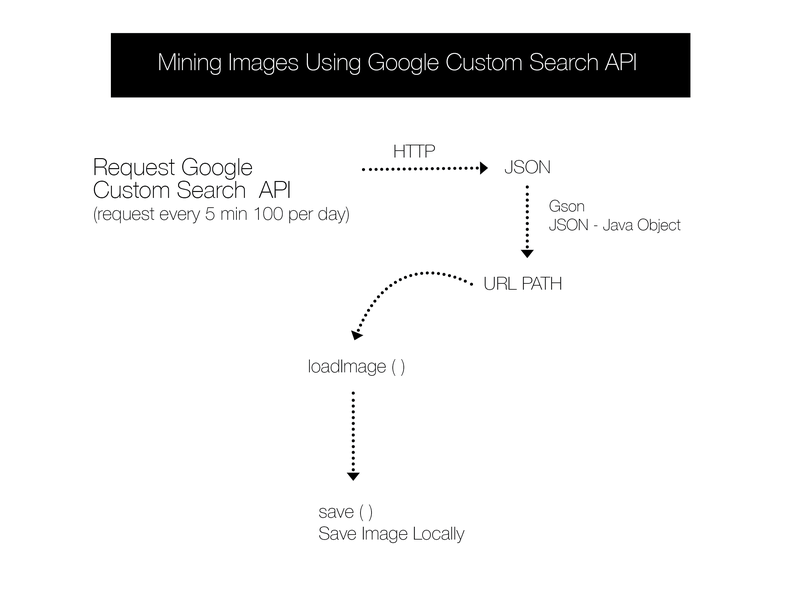 We are going to use Processing and some external Java libraries to achieve our goal of mining custom images from the web. Java provides a set of libraries that lets you easily connect via HTTP protocol. We start by making a simple Processing sketch. First we import all the Java libraries like network communication, exception handling and input/output files. The information from the search result is being saved in class called GResults, more about the class check the gitHub link. We use the following code just to obtain the data from the search result. The string `path` will contain the path of the image found from the query, we only need to retrieve the `path` of the image, this is because we can use a easy built-in function from processing called `loadImage(path)`. This function loads images from any given path, it could be a local path or a URL path.